There’s a new arms race among parents now, and that is the race to get the most enviable birthday cakes in the neighbourhood. We’ve come a long way from the usual fresh cream cakes of the past, and with the stakes raised so high, every parent wants to ensure they get the prettiest cake there is. 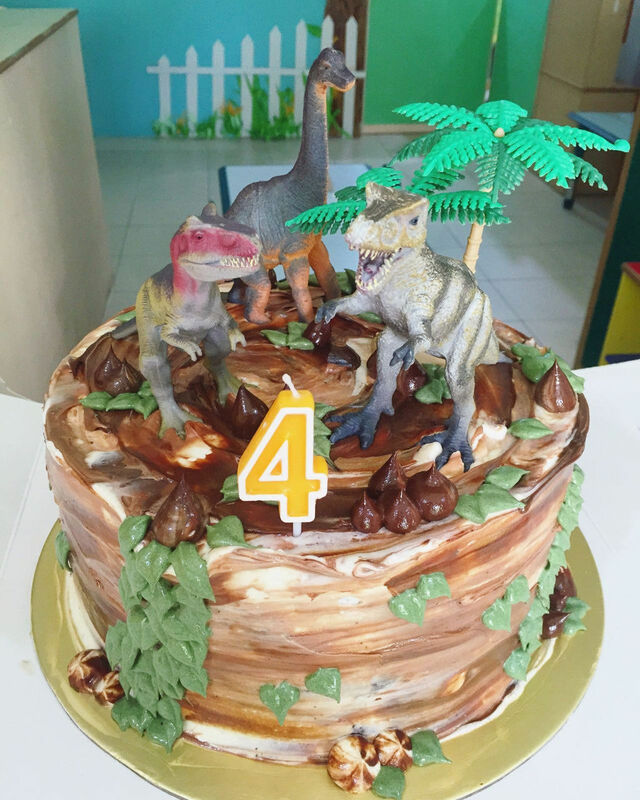 Forget Bengawan Solo, here are the top 12 most gorgeous kids’ birthday cakes made right here in Singapore. 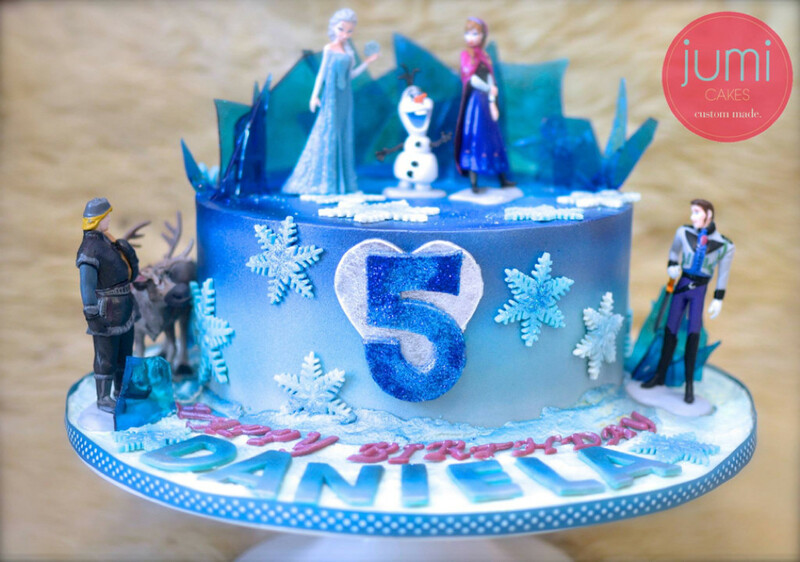 If your little girl is in love with Frozen (and let’s face it, most are), then this gorgeous icy creation by Jumi Cakes takes the literal cake. With an ombre-blue base and gorgeous blue sugar icicles, all covered with edible silver dust, this Frozen-themed cake would be the star of any party. Castle cakes are one in a dozen, but this castle from Celebrate with Cake! will make your guests’ jaw drop. 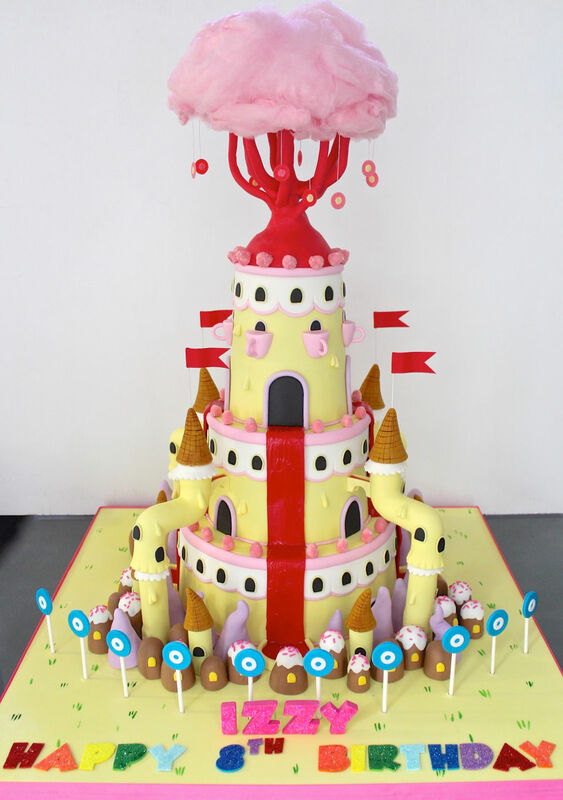 Not only is it physically huge (at 30 inches tall, it’s big enough to feed 80 people), it resembles the Adventure Time Candy Empire castle to a tee, from the teacup balconies to the gumdrop decor. It also has its own candy floss tree, which is thankfully just high enough to keep your kids from getting their sticky fingers into. With a cake this big, you can have your fair share of flavours, and this one had vanilla cake with salted caramel for the upper tier and chocolate cake with chocolate buttercream at the bottom. We just had to add another cake from Celebrate with Cake! – their creations are a real joy to behold. This R2D2 cake is proof of their attention to detail and the limitlessness of what they can create. 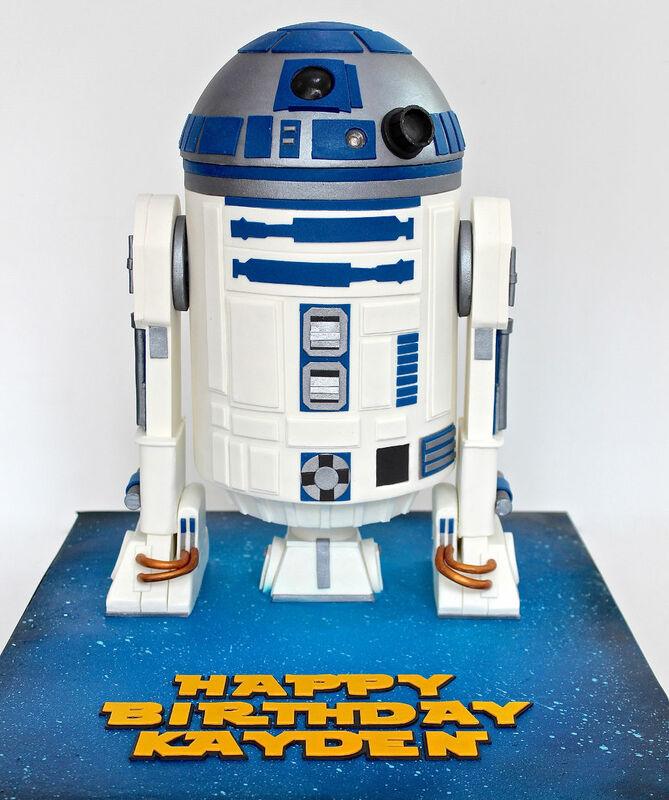 Cut into R2D2 to reveal a vanilla cake with strawberry buttercream, and at 16 inches tall, it’s sized to serve 40 people. 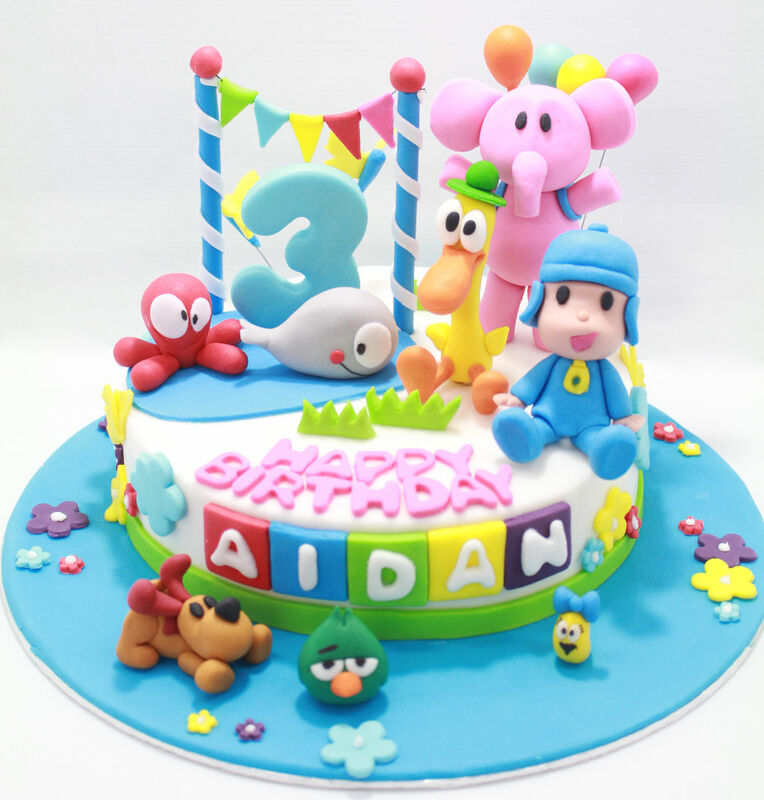 This chocolate-rich pound cake spread with vanilla buttercream from A Little CakeShoppe is much smaller than the other birthday cakes in this list, but it makes the list just by the sheer accuracy of its rendering of the characters of Pocoyo. Fondant creations are so hard to get right, especially when recreating your kid’s favourite characters, but when done this well, kids will attempt to keep the sugary replicas of their TV show characters as toys! Sometimes it’s easy to go over the top with 3D fondant cakes, but this adorable cake created by Icing On The Cake is proof that even simple, single-tiered cakes can be eye-catching. Though wrapped in sugary fondant, the chocolate cake within was created with the best ingredients – organic fed eggs, grass fed cows milk, and 70% dark chocolate for that rich goodness. There’s a reason that fondant is now a staple on any kid’s birthday cake. The colours are vibrant and the options are endless. This adorable cake is literally a sculpture that embodies the sense of adventure and fun that you’d want your children to feel on their birthday – and many nibble on a letter or two. 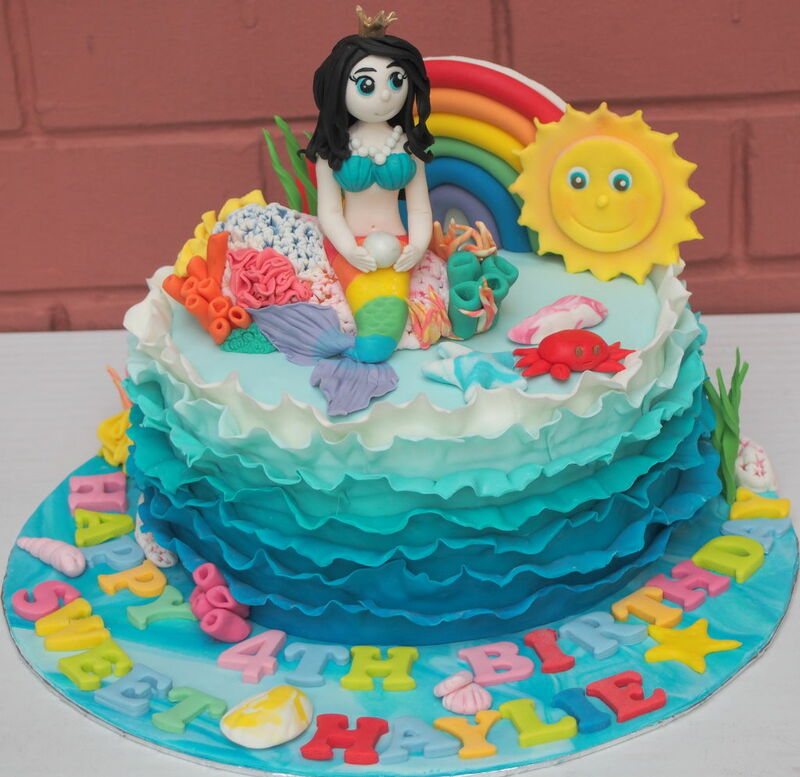 Fresh Bakes weren’t able to share what flavour this gorgeous mermaid cake was, but we doubt it was fishy. If you’re looking to order a fondant sculpture from them, their best-sellers are chocolate and sweet lychee. What’s there not to love about this cake? 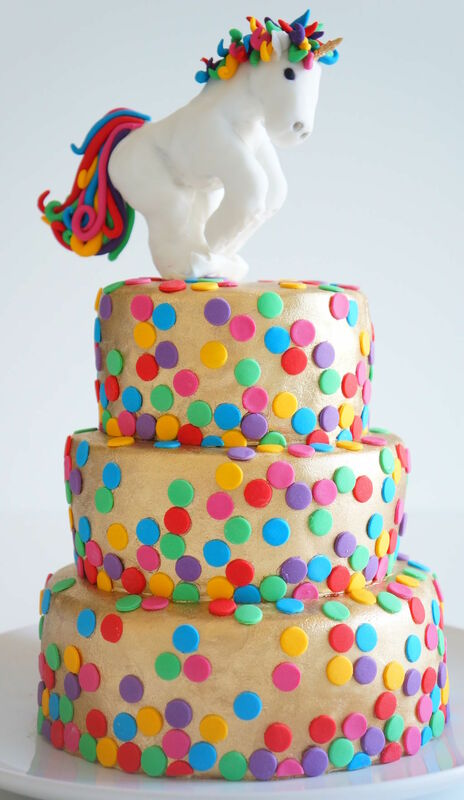 This three-layered creation is painted gold, covered in rainbow spots, and topped with a fondant rainbow unicorn ready to charge – a cake fit for a unicorn princess. While we don’t have photographic evidence, the lovely folks at Susucre share that the cake was a vanilla bean flavor with colourful sprinkes inside, to match the rainbow polka dots on the outside. Yum! While many modern bakeries opt for the easier task of moulding fondant, Baker’s Heart uses fresh ingredients to make fresh cream creations like this adorable bear cake. Your kids will love it, and your tastebuds will be reminded of the way cakes used to be back in the day. 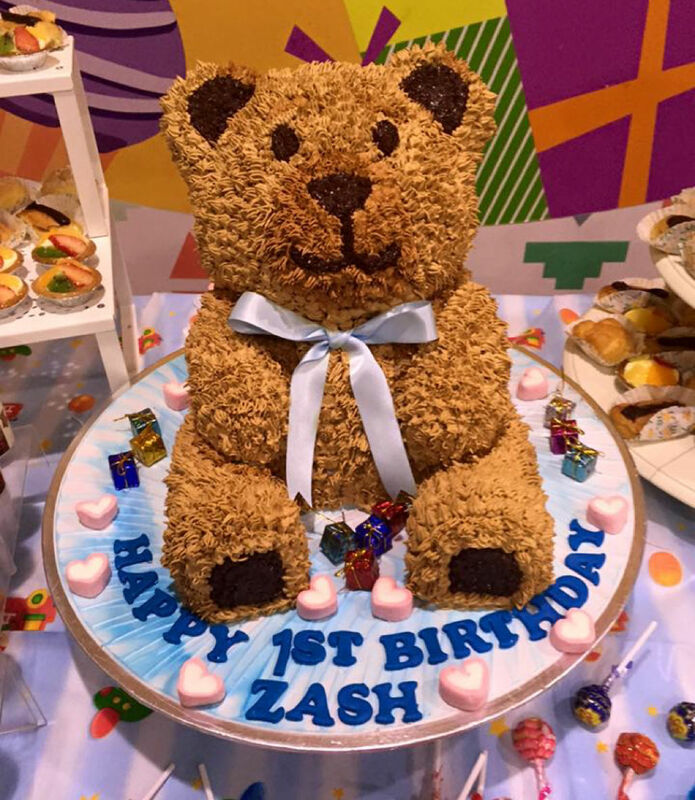 This cake was made for Baker’s Heart founder Zach Leong’s youngest son’s 1st birthday, if you needed any proof that it’s great being the child of a baker. This has got to be the most delicious-looking dinosaur cake ever. This dark chocolate cake with white chocolate Swiss meringue buttercream will make your mouth water. Dark chocolate ganache frosting is swirled to add to its wild appearance. Sarah’s Loft may just be a one-person show, but Sarah’s Instagram account is proof that she is a baker who knows her cakes. 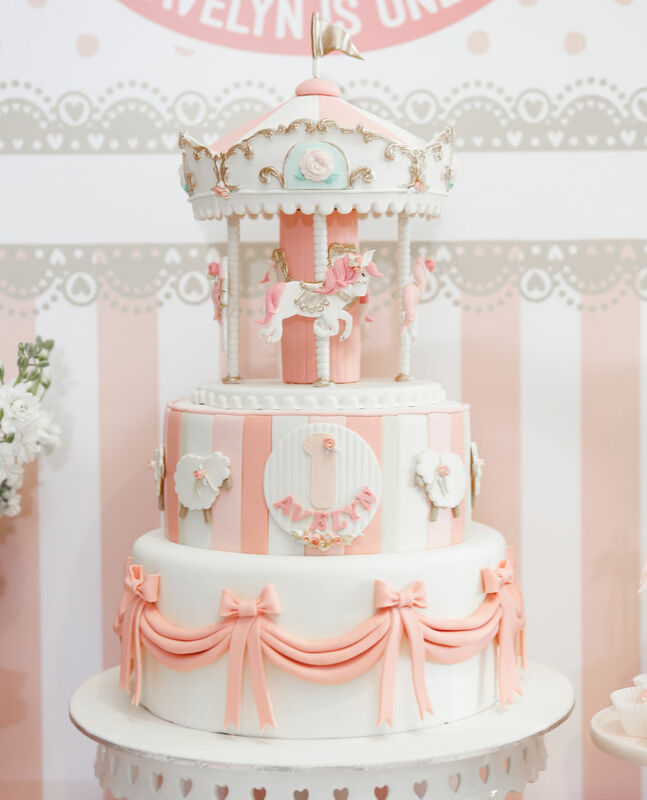 This particular bakery’s speciality is a good carousel cake, and this two-tiered pink and white creation is a great example of it. 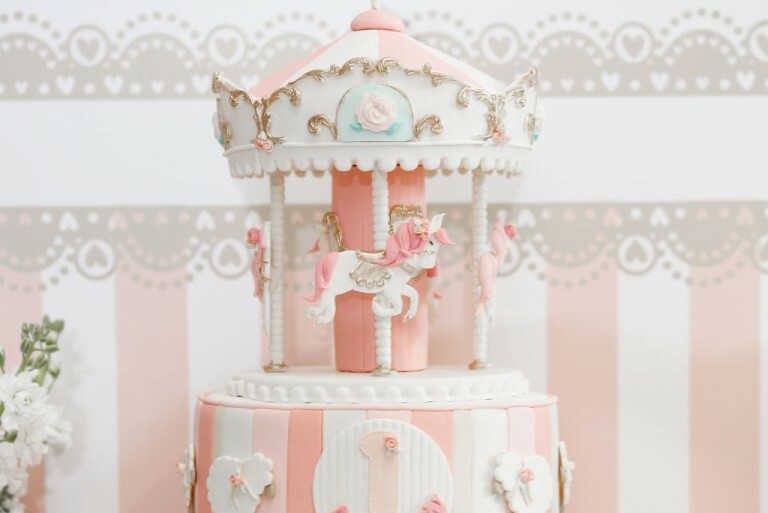 With intricate fondant decorations topping a vanilla butter and chocolate salted caramel cake, the carousel cake took 2 weeks to make. Each little part is handmade and hand-painted by the team at Little House of Dreams, with even the foam base of the carousel’s roof being hand-carved. This particular cake may cost $800, but the look on your kid’s face would be priceless. 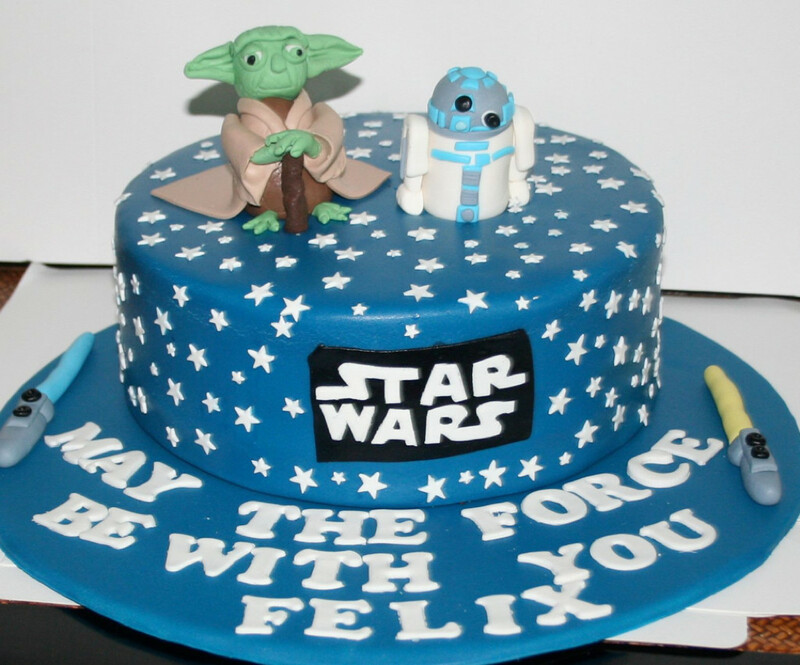 Birthday cakes don’t necessarily have to be cartoon-themed. 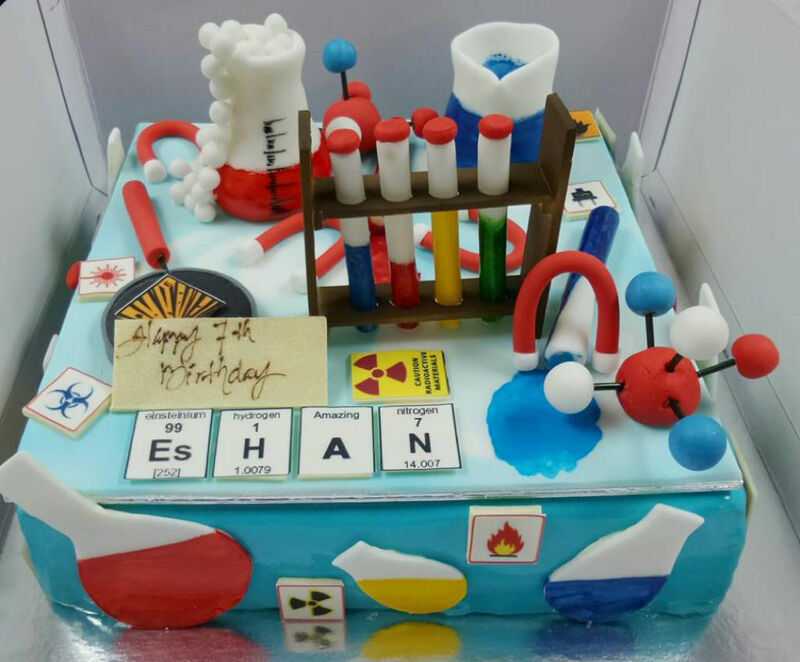 Created for a seven-year-old boy with a love of science, it was coated in a blue chocolate glaze over cake icing, before being topped with a bubbling flask and his name spelt out in the periodic table elements. Within is one of The Patissier’s speciality flavours – the Double Chocolate Praline, where rich praline mousse is sandwiched between layers of chocolate mousse on a crunchy, chocolaty crust. The 2kg cake serves 25-30 budding scientists. If you’re looking for something much simpler, opt for bright vibrant colours, like the gorgeous rainbow cakes by indie baker Jie Hui from Goobycakes. And yes, this cake is as delicious as it looks. 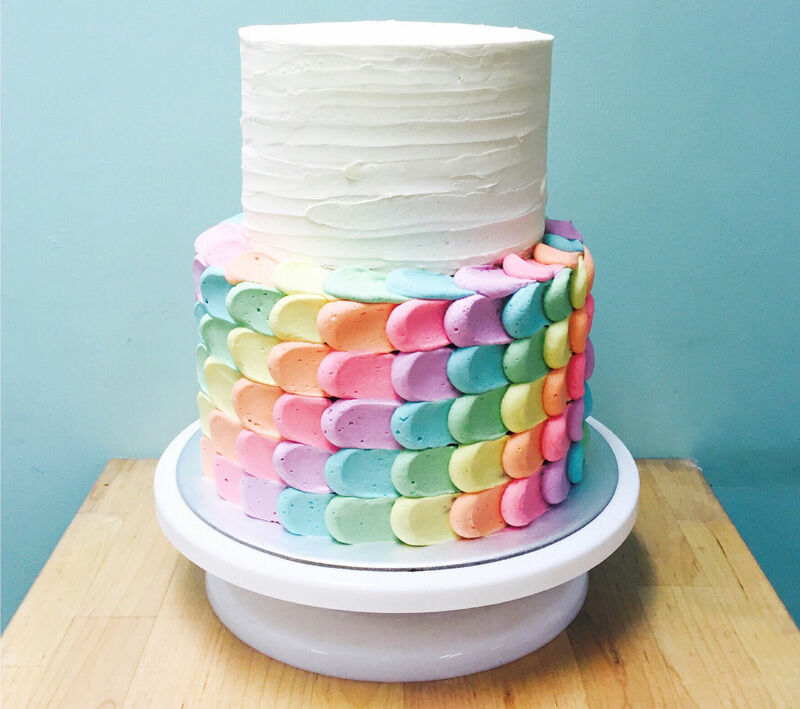 We weren’t able to find out what flavour lay inside this rainbow goodness, but Jie Hui shares that it could have been any of her 19 cake options, from red velvet to matcha to honey earl grey. Hello Kitty Orchid Garden Café is now in Singapore! Check out Chucakes! Not only do the cakes look good on the outside, they taste heavenly too! They provide really good service, highly recommended! I always buy from La Petite Patisserie, cakes are truly yummlicious. Its not too sweet and they actually do non fondant cakes too. Always the centre of attractions at my party and guest are full of praises.